Nintendo, it has been pointed out before, doesn’t go about its business in the same way as its competitors. To the degree, in fact, that it doesn’t really seem to acknowledge direct competition. But this year has been different, even for Nintendo. This year, Nintendo’s point of difference has been, well, a radically different one. After two generations of being the out-of-control quirk-lord, trying to prove its point of contrast in the most extravagant, garish, and - eventually - audience alienating ways, Nintendo has pulled itself back together. Nintendo has got back in touch with itself. It has dropped the contrivance, and it has taken stock of what has really worked over the last 30 or so years. And it has used that understanding to make the Switch exactly the success - critically, commercially, and culturally - that the Wii U wasn’t. You might not have noticed it, mind you. If you weren’t rabidly following the Switch’s progress this year, you might have missed Nintendo’s thoughtful resurgence. It was a slow, steady, quiet process, that occurred without the usual chest-beating bombast from which the games industry can so rarely free itself. The Switch’s launch line-up was modest. Weak, even, Breath of the Wild aside. But The Legend of Zelda: Breath of the Wild was all the Switch needed, at least initially. It was a shockwave big enough to echo throughout the industry for the rest of the year. A statement of intent that would stick to the Switch, heralding the return of a ferociously creative old-new Nintendo that was back to functioning at the peak of its creative powers. But while a colossal achievement of design, the confidence that Zelda instilled was just as much the product of the quintessentially modest, quintessentially Nintendo way in which it was delivered. Imagine what any other publisher would have done with Breath of the Wild. Imagine any other publisher reinventing the open-world RPG as a vast, traversal-driven exploration dungeon the size of a continent, underpinned by purely systemic, open-ended, experimental gameplay. Imagine anyone else keeping as quiet about that accomplishment. But Nintendo did. Pre-release, it simply presented Breath of the Wild as any other Zelda game, albeit a new, prettier one where, look, you could roll that boulder down that hill onto those Bokoblins if you wanted to. In reality, The Legend of Zelda: Breath of the Wild is as important – and apparently already influential - a game as Super Mario 64 was in 1996. But by keeping quiet about it, and simply releasing the game, to speak for itself, without bravado, Nintendo landed a mic drop that exuded assuredness as well as quality. And thus, the Switch instantly had something that its two hardware predecessors never had. Shock momentum, and unambiguous goodwill. And with that momentum, the Switch exploded. To be fair, the process was a lot like watching an explosion filmed in slow-mo, with the sound turned down, and not just because people couldn’t get hold of the machines as quickly as they wanted to due to stock issues. Because with the Switch, as we had suspected would happen since the console’s design concept was first rumoured, Nintendo launched a rather smart strategy which, beyond simply consolidating its long-stretched development resources, created a platform with a new kind of atmosphere. Breaking down the barriers between handheld and big-screen console gaming did indeed allow Nintendo to push all of its first and second-party development in the same direction, making for a rapidly healthier games line-up than enjoyed by any console holding the Wii monicker. But it also incited a fresher, more creatively open vibe in terms of third-party support. With the Switch open to interpretation as handheld, home console, or anything in between, and its multiple control and setup configurations practically inviting fresh ideas, an eclectic garden of games rapidly flourished. And, in – again – stark contrast to its previous endeavours, Nintendo nurtured that from day one. Perhaps learning from Sony’s winsome but tragically too-late move of turning the PlayStation Vita into an indie haven, Nintendo quickly started to court and actively promote independent developers. They could (and did) fill out the ‘handheld’ half of the console’s persona rather handsomely, while Nintendo dealt with larger matters more directly. More goodwill, more momentum. 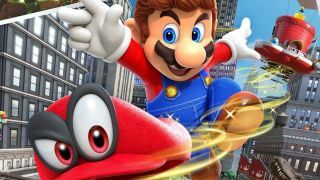 Very quickly, Nintendo’s old problem of failing to secure outside development support seemed pretty much over, and it could get on with devising the big-hitters. Meanwhile, Nintendo’s apparent non-rivals were taking a very different approach. Sony was consolidating its hype around the artistically-minded AAA monsters that have made it such an E3 darling over the last few years. God of War. Days Gone. The Last of Us 2. A glossy new, Marvel-approved Spider-Man. A fine and understandable strategy, albeit one that ultimately led to a non-consolidation of its release schedule, its big projects requiring big - and often extended - development cycles, leading to the fruits of its electric conferences ultimately being scattered far and wide. And then there was the eventual push-back at E3 2017, when many felt that Sony’s formula for success became too formulaic. Brutal, third-person action. A tumbledown countryside setting (apocalypse optional). A sad character in a maudlin story. Rise and repeat. But don’t rinse so hard that the grime and blood comes off. As for Microsoft, the Xbox house went full-tilt into new hardware with the Xbox One X, all but neglecting games during its quest to sell us the dream of a new box to play games on. Amid a glut of cancellations and delays, its apparent focus on how good games could look when awash with the Magic of 4K Resolution™ seemed to distract Microsoft from the matter of what those games would actually be. This Christmas, Microsoft is bringing you a prettier way to play the new Forza 7, and prettier versions of some games you already own. Sony is hoping you remember how good Horizon Zero Dawn and Uncharted: The Lost Legacy were, and didn’t get around to playing them at launch. Or maybe you’ll pick up a Destiny 2 PS4 bundle. Destiny 2 is good. Nintendo though, has the best, bespoke Christmas offering it has crafted in years. Generations, even. Zelda has expanded, and will continue to do so. Super Mario Odyssey looks like it might be the most exciting and inventive, creatively liberated main-series game since the plumber first went 3D. Mario + Rabbids: Kingdom Battle is exactly the kind of unexpected-but-brilliant, major third-party co-production that, five years ago, we couldn’t have imagined ever happening again. Splatoon 2 is thriving, as is Arms. Snipperclips has got an upgrade in the new Plus version. Golf Story is one of the freshest and most charming RPGs of the year. On that note, Xenoblade Chronicles 2 will be out in early December. And Mario Kart 8 remains a brilliant family party pick-up. All of these games and more are 100% Switch exclusive. And on the non-exclusive side, sometimes it’s hard to believe that the Switch is even a Nintendo console, given the company’s semi-recent track record. Doom will be out by Christmas. As will the handheld, play-anywhere version of Skyrim, meaning that you now never have to stop exploring those weekend-devouring side-quests upon side-quests. Quest in bed. Quest in the bathroom. No-one cares where you quest. That’s a faithful, portable version of one of the best FPS ever made, and one of the best western RPGs, on a Nintendo machine less than a year old. Stardew Valley is also finally hitting the platform it was always meant for, as is Lovers in a Dangerous Spacetime. Rocket League will be a perfect fit for Switch party play over the holidays as well. And this really is just the obvious, surface-level stuff. Go digging on the Switch eShop, and you’ll find even more. If there’s a lesson to be learned here – for rival companies and Nintendo alike – it’s that the big bombs don’t always hit hardest. The long-term health of a platform isn’t just about how attractive its owner’s grandest statements sound, but about how appealing, varied, and accommodating it is as a place to both play and create. And with gaming now a bigger, wider, and more niche-friendly medium than ever before, the idea of ‘mass appeal’ actually covers a wildly varied set of bases. Having previously lost sight of that, interpreting mass appeal as being a vague call to the less engaged, games-oblivious consumer, Nintendo has radically changed its point of view. With the Switch, it is both embracing the wide, exciting newness and variety of scale in modern gaming, and reconnecting with just why its own games are so special. Which is good. Because let’s face it, a firm understanding of that latter issue once led Nintendo to dominate an industry. And crucially, Nintendo is once again revelling in the value of its uniqueness without trying too hard to be unique. All of this might change, of course. This time next year, I might be praising one of the other platform holders for paving a clever, insightful path to Christmas excitement. But this year, for the first time in far too long, that plaudit goes to Nintendo. Perhaps the product of needing to work harder and smarter than the established consoles, perhaps the result of a great deal of creative introspection - and in truth, probably a combination of both - Nintendo has changed again. But this time it’s changed for the better. It’s changed for the future, now applying its freewheeling creativity to both market and hardware, as well as its games. But by blending that modern, forward-view with a long-missed sense of what Nintendo, at heart, really means, it has also done a great - and very welcome - job of changing back.